When homeowners are looking to add a home theater installation to their Lake Norman, NC space, they might be slightly overwhelmed by the process that lay before them. With so many people on their team – designers, installers, and builders – things can get a bit hectic. Now if you’re an architect or builder, you can share with your clients that their dream home theater is within reach – and has a much simpler plan than they might have initially thought. As expert installers, we’ll take you through the installation from start to finish, so you can tell your clients exactly what they are getting into. Keep on reading below to learn the ins and outs of a theater setup. 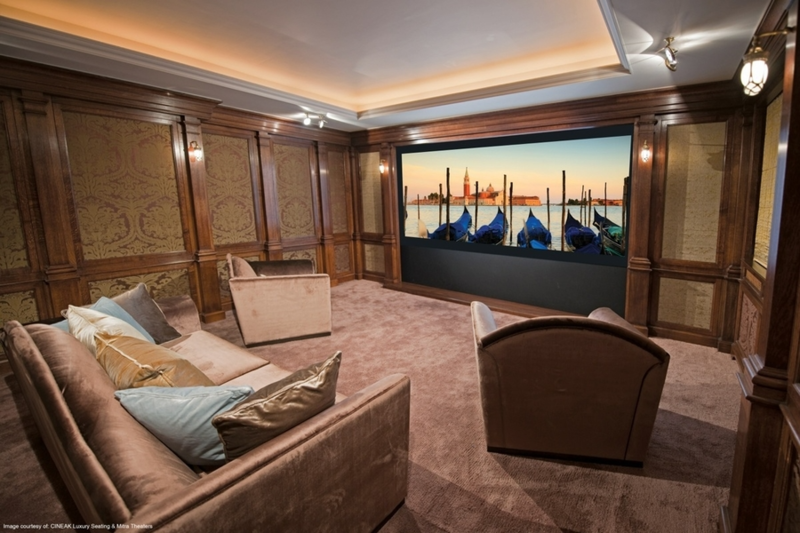 Before you start planning out a home cinema with homeowners, our team of experts can initially assess and establish what your clients want for the room. This first step between them, you, and your installers is a consultation. If the home isn’t a new construction, then the space will require a walkthrough in order to evaluate how the theater will be properly set up. There will be one unified vision from the get-go, with constant communication between everyone on the team. By guaranteeing there is a joint plan from the beginning, your clients can rest assured that they’ll get their dream theater exactly as they had intended it to be. A build with so many steps and procedures, of course, means there are many people involved. So along the way, miscommunication is inevitable. But the right home theater installation company makes sure to keep the constructions workers, designers, and architects all on the same page, and always aligned with the clients’ vision. Things can run even more smoothly with your clients when they know that constant and direct communication will guide the entire process. With the pre-planning out of the way, your clients might begin to wonder how it’s all going to come together. At this time, your installers will recommend the best brands to choose for the technical equipment, and will go over again and again the theater layout and which seat fabrics go best with the room’s acoustics. The whole time, your client will stay in the loop. This is when they are also free to make any changes they wish, and to make the final decisions for their dream theater. This part is the easiest for both you and your clients. You can both sit back and leave the actual installation part to the installer experts. They will make sure that the home network is secure and stable, and then they will check the room’s wiring. Then they will strategically place the AV equipment in the right place. Now that the theater is finished, the installers will go through your client’s new system’s ins and outs, and check that everything works perfectly. This means testing the equipment and verifying that it is all running well and with zero glitches. The theater is made easy to use for your clients the moment they are ready to begin watching their first film in the new space. Managing the audio/video and screen technology in the room is simple – check out this video below that your clients can watch as a guide. Control4 makes watching film and media all the more simple for homeowners. Want to learn more about the home theater installation process and how you can tell your clients that the process will be a hundred percent hassle-free? Give us a call or fill out our online contact form to schedule a consultation with us. We’d love to hear from you!